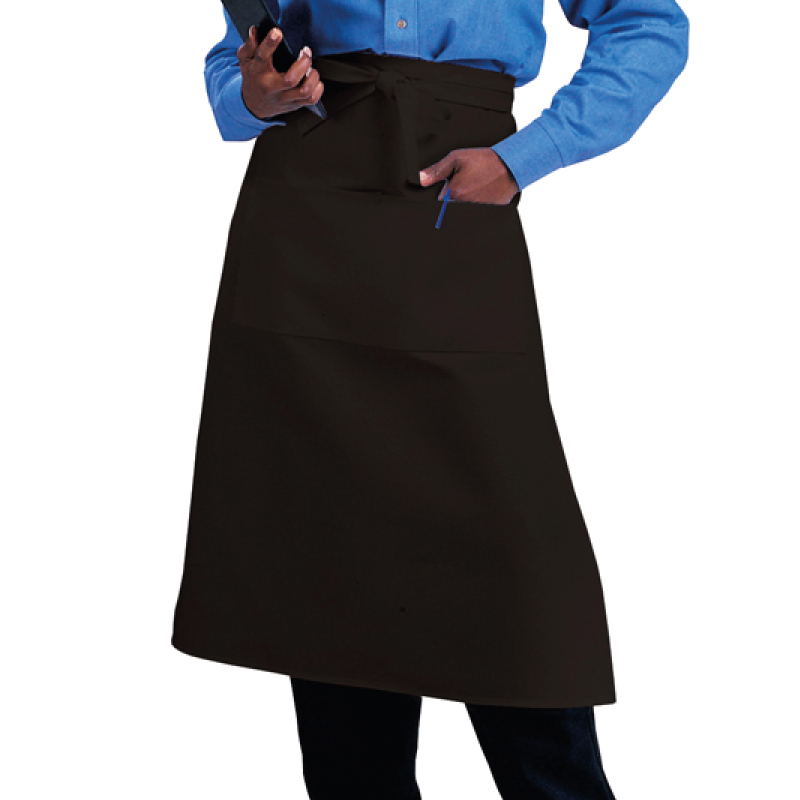 Classic waist-tied, long apron in a selection of colours with herringbone ties. Bespoke sizes available. Standard practical polycotton mix of 35% cotton 65% polyester.